The cannabis industry has witnessed an internal arms race in recent years, with marijuana growers and infused products companies trying to top each other by boosting THC levels in their offerings to new heights. But another trend has emerged on the other end of the spectrum as well. Cannabis businesses are developing an ever-increasing array of products that contain high amounts of CBD, catering to increased demand from users who want to ease pain without getting high. The sharp rise in interest among cannabis users can be seen in data from the strain and dispensary review site Leafly, which had over 40 million total visitors in 2014 and projects over 70 million in 2015. Currently, the site has a little over 1 million registered users. In July, Leafly recorded 1,770 unique searches for the term “CBD” on its site and mobile app, a 521% increase from August 2014, according to data provided by the company on its top 150 search terms over that 12-month period. 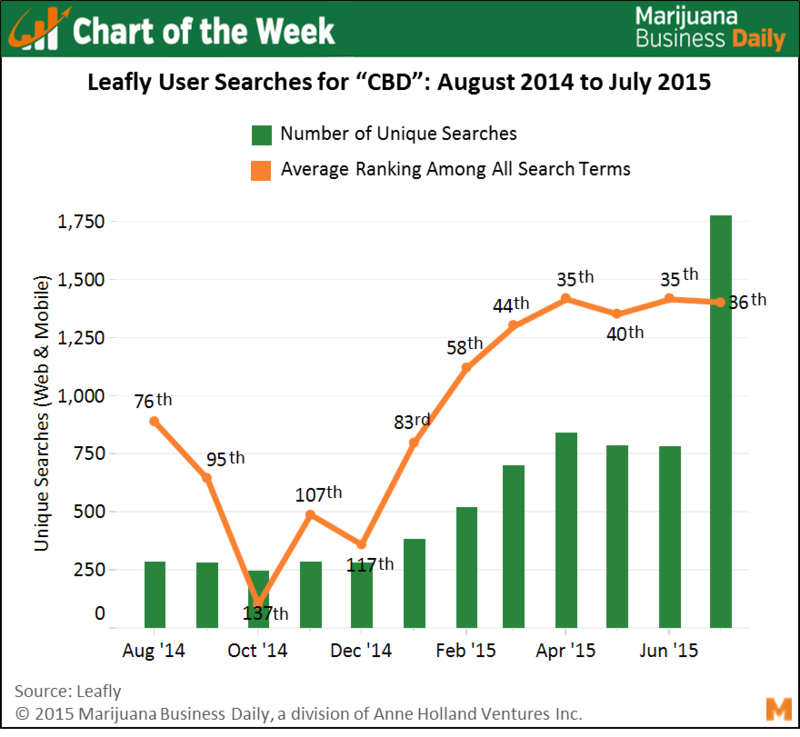 CBD also is now one of the top 50 terms users search for each month. The figures support what many in the industry have already observed: interest among both medical and recreational users in CBD has skyrocketed. Nassau described how the majority of increased demand at Tru Cannabis’ locations has initially been for high-CBD flowers, but that demand for high-CBD edibles and topicals has picked up significantly as well. “(High-CBD) patches in particular have gotten really popular,” he said. Cannabidiol’s pain and seizure management properties are well known within the MMJ community, but the newly legal recreational markets have brought a much wider array of cannabis users into the fold. Nassau likened this phenomenon to that of the “diffusion of innovation” and stated the MMJ community are essentially the early adopters of high-CBD forms of the plant, but use of such products will ultimately become mainstream. “The (increased) demand for high-CBD really drove us to offer these products on the rec side,” where they have been immensely popular, he said. It’s worth noting the large spike in searches on Leafly for “CBD” in July is tied mostly to user activity on the company’s mobile app, as searches for the term on its website were relatively flat. 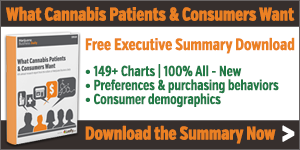 This indicates an even more recent shift in when and how patients and consumers are searching for information about cannabis, as well as how they seek out retail outlets with high-CBD products. High rates of activity on mobile apps for marijuana are generally associated with younger consumers, indicating a spike in interest for high-CBD products among users whose use is more typically associated with partying. As the marijuana industry evolves, so too does the face of the “typical” cannabis user, particularly in states that permit recreational sales. The acceleration of interest in therapeutic uses of CBD is another indicator of that evolution.